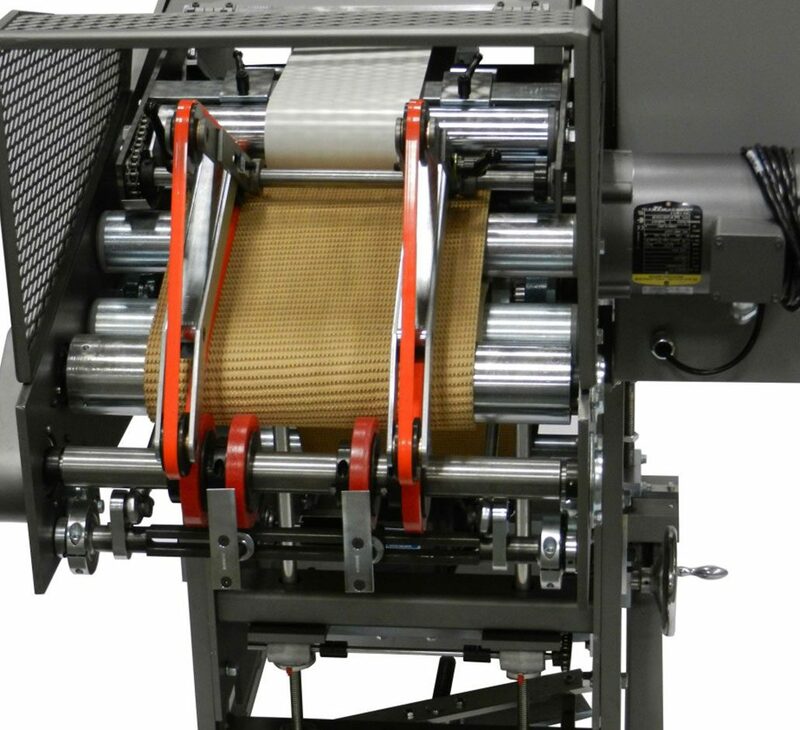 An untimed bottom feeder relies on friction of the feed belts to draw and propel carton blanks into the machine. 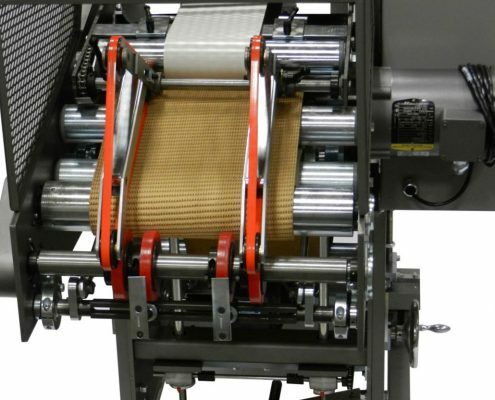 With a constantly changing feed pile height, these feed belts expand or compress. As the belts expand, the gap between the feed belt and feed gate decreases, causing skips to occur. 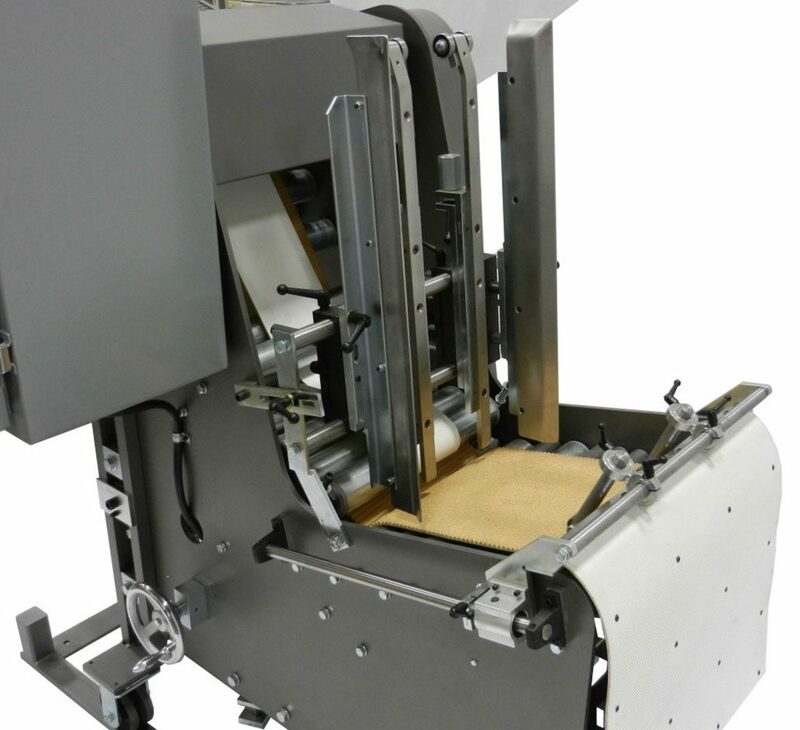 Conversely, as the belts compress, the gap increases, causing double blank cartons to feed. 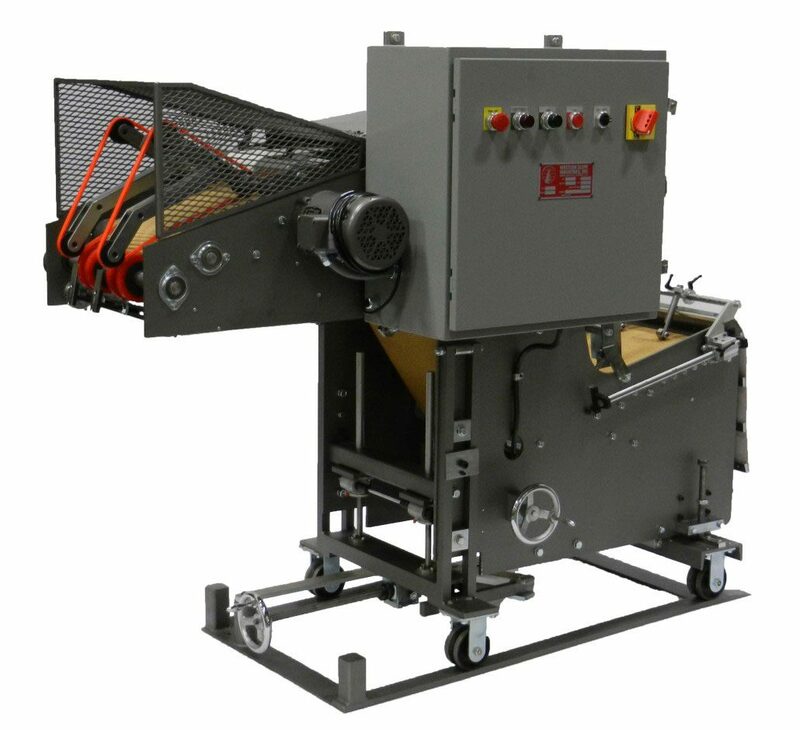 Skips and double blanks can twist and jam in the feed hopper, causing scrap, machine stoppage, and other production delays. If a double blank happens to get through the feed, it can upset the flow of blanks into the stacker, as well as other production issues. A pre-feeder delivers separated blanks to the feed hopper. 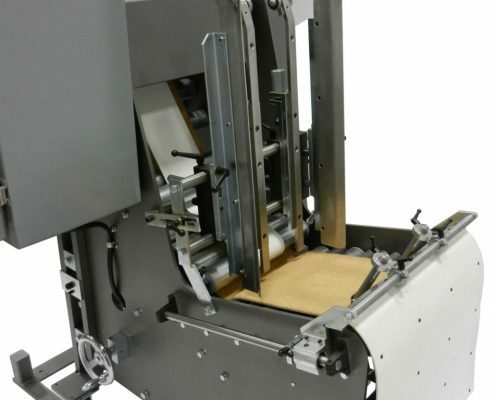 As the speed changes, the pre-feeder’s drive responds, maintaining a constant carton stack height in the feed hopper. 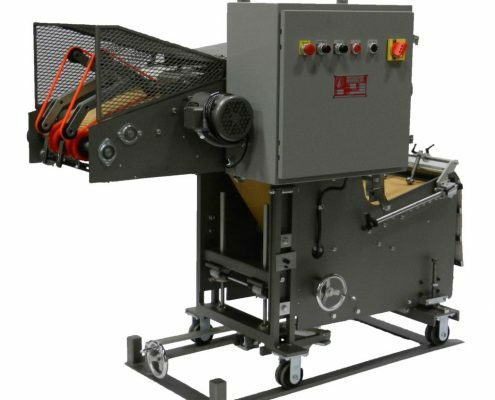 With five different models of UniFeeder, there’s sure to be one to fit your product mix.